Our BRC certified plants in New Bedford, Massachusetts are state of the art facilities encompassing over 25,000 square feet of space. We are an FDA HACCP and GFSI approved facility which conducts an annual third party audit in addition to an annual audit by the Department of Defense (DoD). 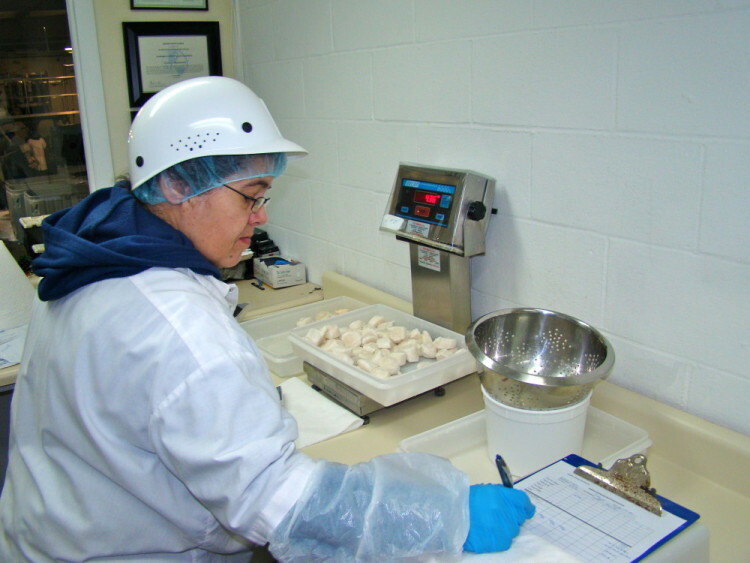 We have a Quality Control Department that is staffed by three FDA and USDC certified technicians. These technicians completely oversee the quality of all products both incoming and outgoing. Upon reviewing the incoming lots, our team provides a detailed quality control report of the product which we send to our customers immediately for review. 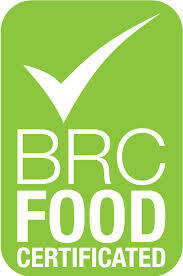 Complete lot traceability is guaranteed on all products and packing produced in our facility. 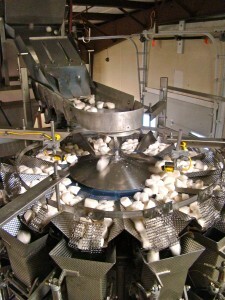 Our product is carefully hand graded which allows us to provide the custom counts and packs for our clients varied needs. After being graded, our scallops will enter a cryogenic freezer via a conveyor belt. 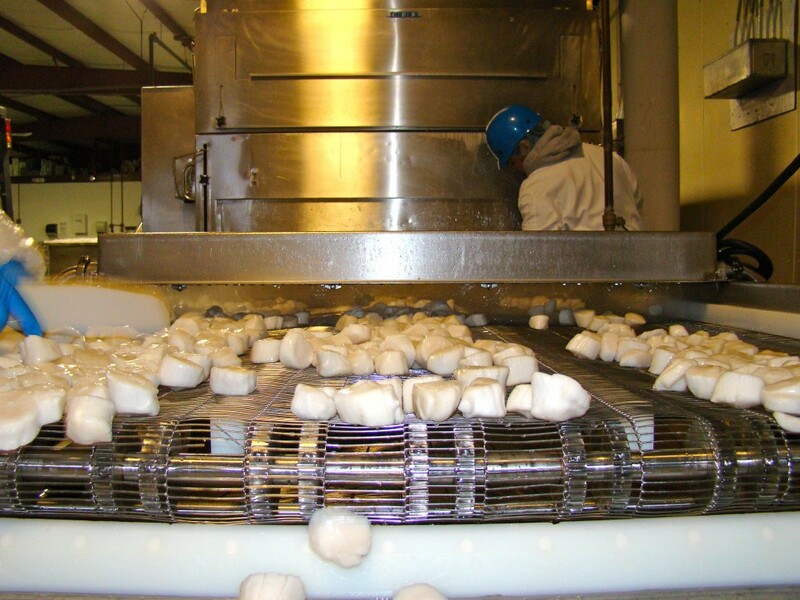 Our liquid nitrogen fueled freezer allows us to freeze over 4,000 pounds of seafood per hour. The freezer ensures all sides of the product are evenly frozen. This allows the scallops to be frozen individually, rather than in a group, meaning that the scallops keep their own individual form, texture and most importantly taste. 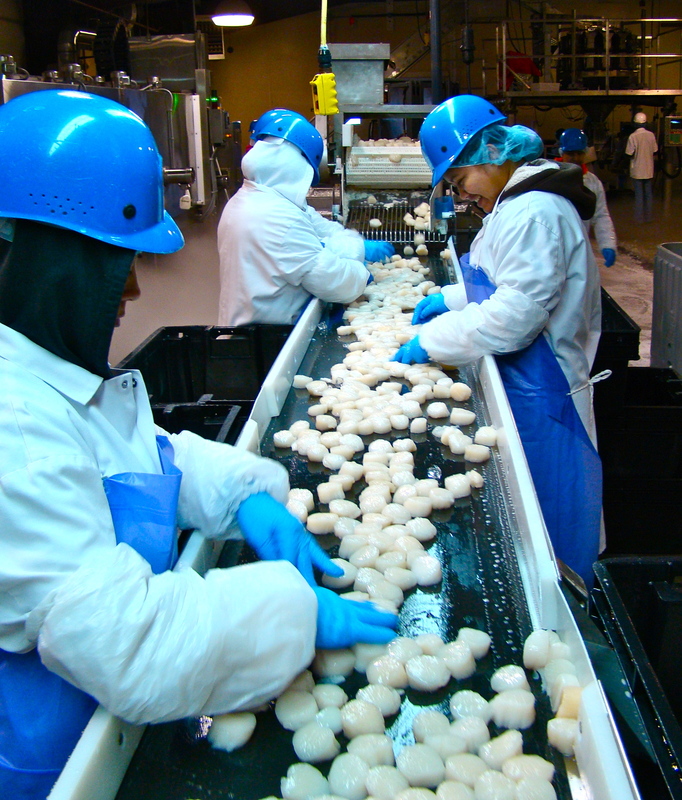 Once frozen, the product is then transported through a glaze conveyor which puts a protective ice coating on the scallops to preserve freshness and prevent freezer burn. 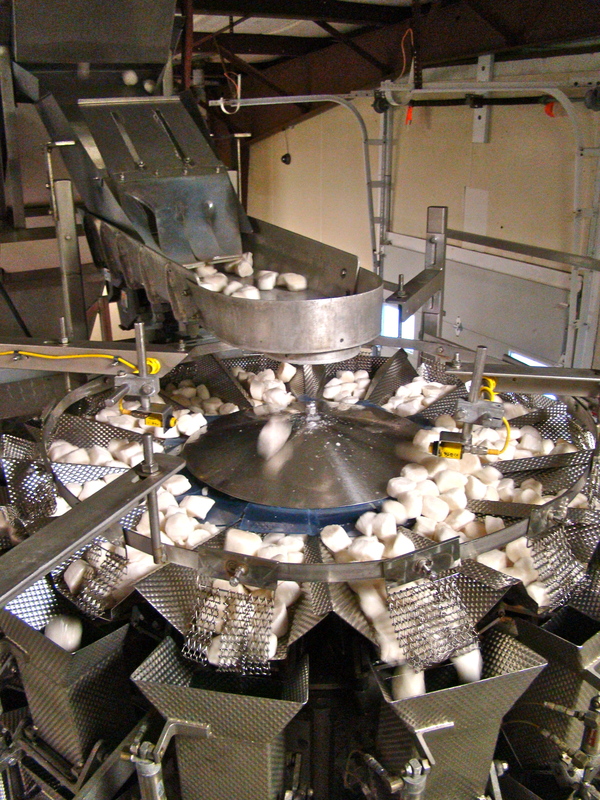 The Eagle 14 head combination bagger then allows us to accurately weigh any pack from 12 ounce bags to 30lb bulk boxes within 1/100th of a pound. As shipping occurs, a comprehensive finished product report, done by our quality control technicians, is then sent to customer for review.